You may have noticed but paid little attention to the noises your car was making or the difficulty you had starting it this morning, but then, there you are. Stuck on the side of the road and late for work wishing you had known that car battery replacement was the plan for your immediate future. More likely than not, there were warning signs, you just didn’t know what they were. “If only I’d known!” How often has this become your mantra while waiting for AAA to come and save the day, again? Well, there’s good news! No longer will you be ignorant to your vehicle’s health and well being. As with most things, warning signs are not always blaringly obvious so it’s something that you must educate yourself about. Because the battery is like the heart of your vehicle, it is really important that you pay attention to it to avoid being stuck in the future. Your battery does have a life expectancy, usually of about two and a half to three years. Maintaining a healthy battery will help ensure that your battery lasts longer. If manufacturers are selling batteries with ‘extra life’, be sure to get a warranty. It’s not that they are being dishonest, but sometimes manufacturers fail to consider that your car battery charges plenty of other items in your car which can drain it faster, especially aftermarket accessories. Therefore, you should probably count on replacing your battery every two and a half, or so, years. If when in your auto body shop for basic repairs, your technician says you have more time and you know you have been properly maintaining it, then you very well may have more life if in it! However, keep in mind that old batteries can negatively affect other parts of your vehicle without your notice, which is why it’s smart to replace it before you other damage is done. Because there are other components that go into keeping your battery running smoothly, like the alternator, starter, solenoid and battery terminals and cables, it is important to make sure these items are in tip top shape. 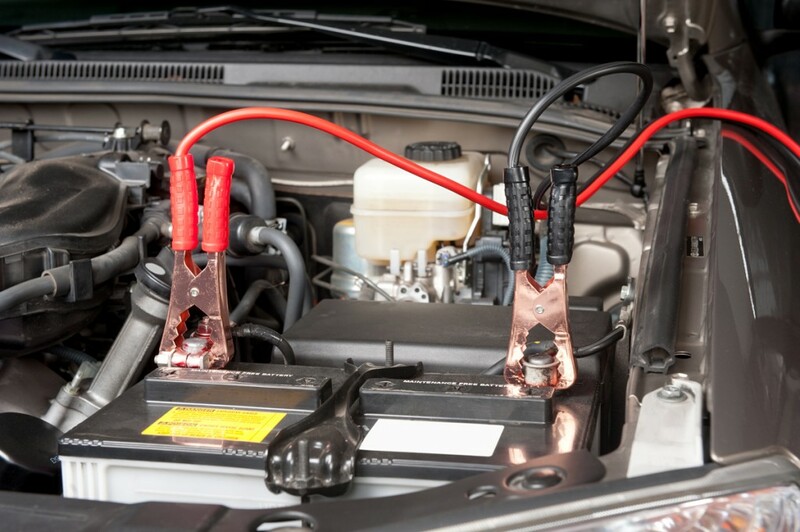 Get in the habit of checking out your battery every time you open the hood of your car, which you should do regularly. Remove any leaves, sticks or debris you see hanging around the battery. Get a dry cloth and remove any corrosion or moisture that you see. Many cars, especially those manufactured in the last five or so years will have a warning light when your car battery is running low. Take notice of this light and don’t ignore it. This is the most obvious and has happened to most of us at some point in our lives. You turn the key to start the ignition and all you hear is the crank from the engine but no ignition. It could be your starter, but most likely, the problem is your battery. This situation is an easy save with help from battery cables and someone willing to ‘jump start’ your car using the voltage from their battery. Once your car is running again its easy to think that its fixed. You will want to leave your car running for at least a half hour so that the alternator has enough time to efficiently charge your battery. Once you are in a safe place, start and stop it a couple of times. If it starts easily every time, then the alternator has charged it enough to buy you time to shop for a new battery. Do not mistake this use for a replenished battery. It should go without saying that the lack of lights in your vehicle is directly related to a dying or dead battery. If there is also no crank, it could mean a couple different things. Make sure to get this checked out. Most batteries have a translucent part of the casing so that you can keep track of your battery’s fluid level. Have the battery and charging system tested if the fluid level falls below the lead plates. If you’ve been noticing that some days your car starts fine and other days it isn’t, it could mean a couple things. 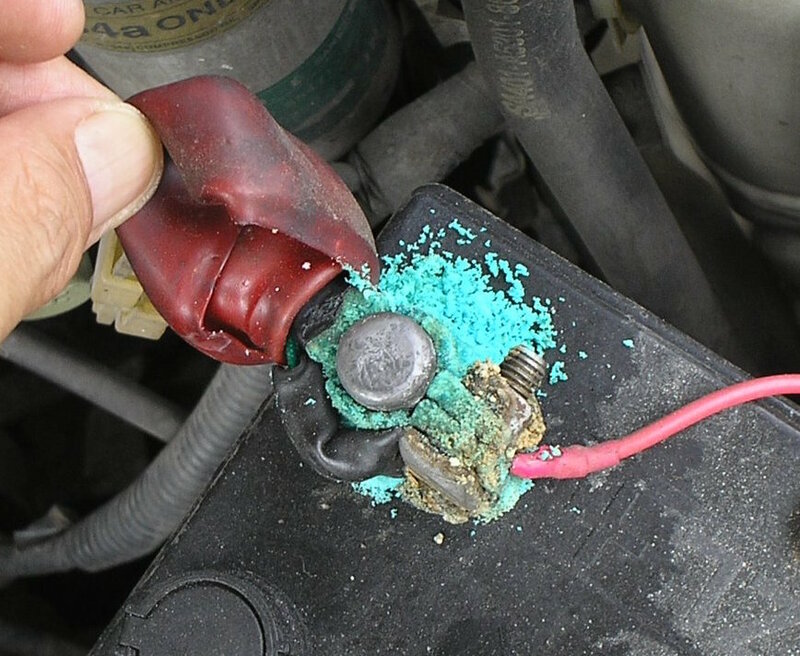 Your battery terminals may be loose, broken, corroded or calcified. It could also mean that you have a parasitic draw, or that your power is being drained by something that shouldn’t be draining it, ie: leaving a light on, a wire touching it, something like that. Obviously, check the cables to make sure that they are firmly and securely attached to the battery with no wiggle room. Also, make sure the cables are not frayed and that the terminals are not corroded. If your car is being intermittent with starting for more than a week, definitely get it checked out and be willing to purchase a new battery. While it may not be your battery’s fault at first, maybe you left the interior lights on or your door ajar overnight, but you will need to jump your battery. If this one situation turns into multiple occasions in about a weeks time, your battery is most likely out of juice. Jump starting your battery is like a shock to the system and isn’t good for the life if you are consistently doing it. Plan on needing a new battery soon if this is your current (ha!) situation. If most of your driving is short distance driving; around town, only to and from close places, this is not great for your battery’s life. The alternator is what charges the battery while we drive, so if you are not giving the alternator enough time to charge your battery, then your car will always be running on less. Take your car for longer drives. Give your alternator the opportunity to fully charge your battery. Obviously, people in all temperatures drive cars which can’t be avoided. However, you should be aware that climates with extreme temperatures will affect the life of your battery in ways other climates won’t. Temperatures with extreme heat have a shorter life for your car’s battery than a more temperate climate. This is nothing really you can change, other than moving, but who wants to move away from sunny weather? Just be aware that these climates have their seldom drawbacks, as well. Remember, you battery may very well last longer than three years. Given you’ve optimized your opportunities to take care of it or maybe you’re just lucky. Whatever the case may be, do remember to keep watch for signs of failing activity. Your driving habits and interest in value will keep you mindful of maintaining a healthy battery, or heart, for your car.